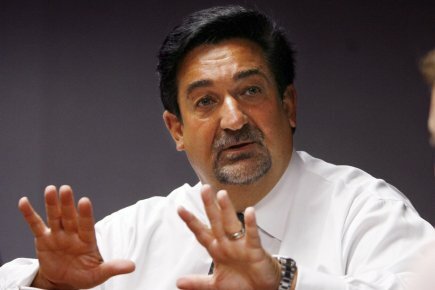 The following is an open letter to our president from a Democrat Obama supporter and billionaire Ted Leonsis who the founder, chairman and majority owner of Monumental Sports & Entertainment, which comprises three professional sports teams – the Washington Capitals (NHL), the Washington Wizards (NBA) and the Washington Mystics (WNBA) – as well as Verizon Center. I am printing it in its entirety and I urge you and President Obama to read it. Let me get this on the record. My dad was a waiter. My mom was a secretary. Neither attended college. I grew up in Brooklyn, NY and Lowell, Massachusetts. I attended public schools. My parents – in their best year – earned $31,000 combined. My dad worked for tips – often received in change – as he worked a counter for breakfast and lunch at a diner. My dad, too, once lost his job. I remember the angst in our household. I attended Georgetown University which at the time wasn’t a need blind school via college loans. I paid them all back five years after I graduated. I have great empathy for middle class or lower middle class America. My horizons as a young adult were not expansive. I was programmed to be a produce department manager at a grocery store in my neighborhood. That was my dad’s aspiration for me. I would have been proud to work hard to become a leader in a grocery store and I bet I would have been good at it, too. By luck and hard work, my career took a different path. This is a bad move all designed by some pollster who said this is the way to get votes during the re-election. It should be stopped. We should be healing and creating teams NOT dividing and pitting people against one another. I know the President isn’t speaking to me specifically when he talks but many times I hear stuff and I cringe personally. As a friend told me the other day who lives in China, “Every time your President talks of late, it costs us billions in market cap and in confidence in your country and your economy.” Why do we devalue success in the US when the rest of the world is trying to emulate what we have created as an economic system? So for fun: I take the Acela train to Philly and NYC all of the time. Alone – no traveling companions to prep me. I have never seen our President on the train, have you? I own 50 hours on NetJets for the rare occasion I do travel by private plane. Does Air Force One charter out? Stop making private planes an issue. This is a tiny issue for us to deal with for our country. I do have a nice home with a house keeper. I have only one home. I bet there is more staff at the White House though? And Camp David. What kind of real estate tax is the White House paying? Nice jewelry here. Click away. Stop it. Upgrade the discourse. With my investments and board seats and companies that I own, I am at a leadership position in concerns that employ more than 200,000 people. We do our best to be good corporate citizens. I know in the companies that I own personally or am the largest shareholder that we support now more than 500 charities. We care. Pick some business leaders that you work with and make them heroes. Don’t demonize them. Showcase them as great Americans that care and hire and employ people. Employment is the biggest issue you will face when re-election comes. If people aren’t working, they will blame you and your administration. And since you have never worked before in a real job for a real company, you need help from people who have been there. Don’t push them away! I pay taxes. I am willing to pay even more taxes but I would want accountability that the money was being spent wisely on infrastructure investments; education and retraining; and anything that makes us more competitive and gets people working again. That seems fair doesn’t it? Our country was founded on the premise of “life, liberty and the pursuit of happiness”. Is anyone happy right now with all of this? Hit a reset button ASAP. Rethink how to talk to businesses and sell business leaders on your plan to make America great! Many of us want to be a part of the solution. We aren’t the problem.